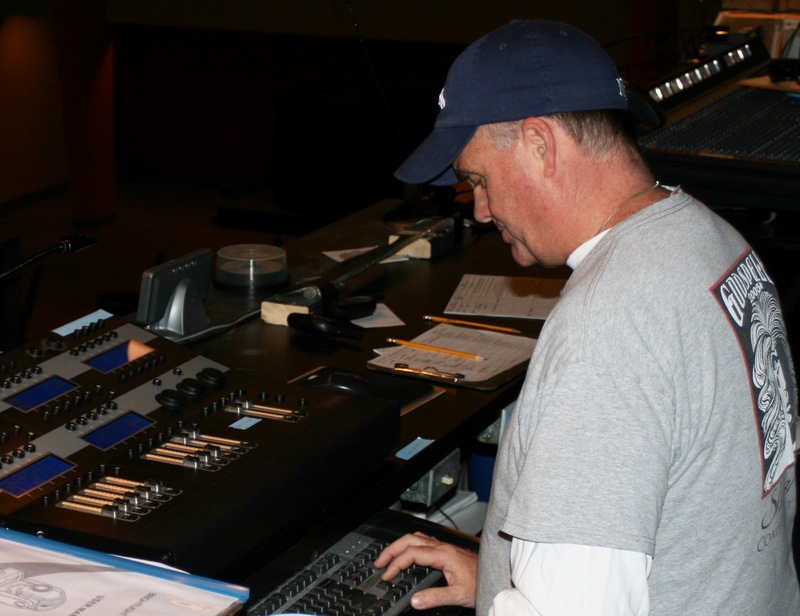 Here's Greg at the control board, making it click. Listen to a podcast of Greg-the-Light-Guy’s story. Greg’s story is one of persistence and willingness to take a few risks in order to discover where he “clicks” into the right place, right time, right thing, right reason. I first met Greg more than ten years ago, shortly after we began attending Shoal Creek Community Church. He volunteered in several different areas — working with kids, acting on stage, singing with the band — before he found his place behind the scenes, turning on the lights. The interesting thing is, Greg really had no previous experience with lighting; he didn’t get started until his early 40s. By taking a step of faith he was able “to discover a passion that has manifested itself into a sense of purpose, a feeling that I can serve, and using a gift that I was given — that I didn’t even know I had!” Greg now leads the Shoal Creek Light Team and is infecting others with his love for the craft. Click here to listen to my interview with Greg-the-Light-Guy. PS I like the music intros and outros I hear on other podcasts and thought it would be cool to add some original music to my first podcast. Well, it turned into a case study of why you should leave things like recording and editing to the professionals. But despite the lousy guitar-playing at the end (why do I choke when it really counts? ), I’m sure you’ll enjoy hearing how Greg makes it click.